Before your trip to the Base Exchange or commissary at Elmendorf AFB in Anchorage, AK, make sure you check for the latest discounts at MyMilitarySavings.com. For more than 25 years, we have brought specialized coupons and savings to military families for use in commissaries and Base Exchange stores across the globe, and now, through our online services, we’re making it easier than ever to take advantage of these discount offerings. We’ve worked hard to develop a user-friendly digital platform with helpful coupons for the Army Air Force Exchange Service (AAFES) and more, as well as a link to the Defense Commissary Agency (DeCA), where you can download coupons directly onto your Commissary Rewards Card for instant savings. When you become a member for free at MyMilitarySavings.com, you’ll be able to enjoy access to weekly coupons and other deals that you can use at the Elmendorf Air Force Base commissary and exchange on hundreds of items including groceries, health, beauty, travel, and more! In addition to the mountain of savings available for use at the commissary and exchange on Elmendorf AFB, we also offer access to a full community exclusively for military families in Anchorage, Alaska, and around the world. 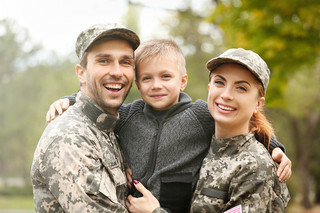 On MyMilitarySavings.com, you’ll be able to access sweepstakes, contests, recipes, articles written by and for military spouses, a book club, and more – all right here in one place to make you feel at home. We are committed to not just making shopping at the exchange and commissary more economical, but also to bringing families together who understand how challenging military life can be. For more information on these and many more benefits that you can take advantage of at MyMilitarySavings.com, go to our sign-up page today to join. Membership is completely free and will grant you access to hundreds of discounts, coupons, and more that you can use at the Elmendorf Air Force Base commissary and exchange.